AHHHHH the Midori Traveler's Notebook. . . . I'm sure Molly is very glad to be becoming part of your family, too. I appreciate the typewriter/Mac coexistence there. Winter weddings are their own kind of beautiful; I adore them. So happy for Felix and Molly! Like the couple I know who both have birthdays on Feb. 14, and got married on Valentines Day! I think it's a lovely time of year for a wedding! 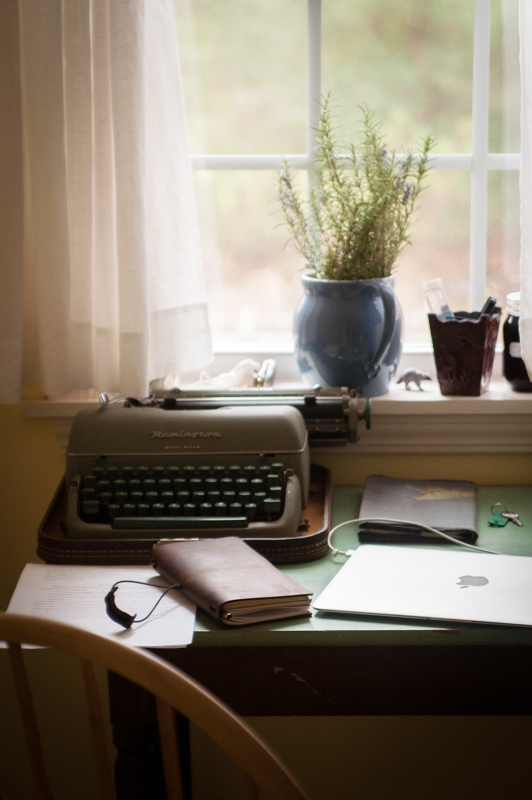 I adore his desk!! Just as I imagined it would look like. It's an exciting time in his life.